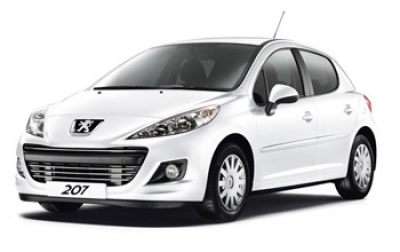 Car rental booking deposit shall be a minimum of €50 at time of booking for Peugeot 207 or similar medium sized vehicle. 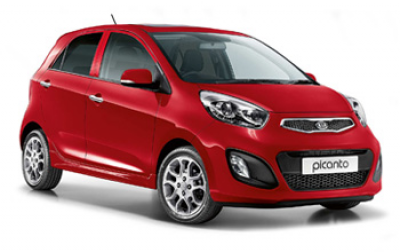 Larger cars or 7 seaters may require deposit up to €150. The actual deposit amount shall be communicated to you. Deposit paid is non refundable. No show on the day of arrival will incur 100% of the car rental charges including delivery charges and shall be debited to your credit card by the car rental supplier. Car rental deposit shall be a minimum of €50 at time of booking and is non refundable. Depending on the total cost, the deposit required to secure reservation may be higher. The car is by default hired to 1 driver only unless a notification has occurred at time of booking and payment for extra driver effected and listed on contract. Please send a copy of your driving license and that of additional driver. The car pictured is not necessarily guaranteed and supplier reserves the right to supply a similarly sized and equipped car to that reserved. Car hire comes with Unlimited Mileage and transmission is by default manual. Please specify in the optional tick boxes if you wish to have an automatic vehicle. The collision Excess is the amount you initially pay for any incident or damages claims to the vehicle before the insurance mechanism is triggered. Collision excess is €233 for 4-5 person vehicles and €466 for 7 seaters if driver is above 25 years of age. In case of accident, this amount shall be debited to the Credit Card provided at time of booking listed on the contract. Driver must be minimum 25 up to 70 years of age and shall carry a valid driving license. *In case of drivers between 22-25, the collision excess is €466 for the 4-5 seater vehicles and €700 for the 7 seater vehicles or convertibles. The vehicle rented under this policy may not be used for commercial purposes. Vehicle damage claims are subject to a €60 administration fee. The Car rental supplier offers a Complete Protection Package covering the driver, the passengers and damage to the vehicle. It is the most comprehensive and carefree cover. Windscreen Cover - zero excess on windscreen damage. Personal Accident Insurance (PAI) - covering personal accident costs up to €10,000 per claim/event, medical expenses up to €232 per claim/event. Roadside Safety Net (RSN) - protection on recovery assistance costs for flat tyres and batteries, a lock out service and fuel delivery if you run out during your journey. Complete Protection Package* - from €26 inc VAT per day. 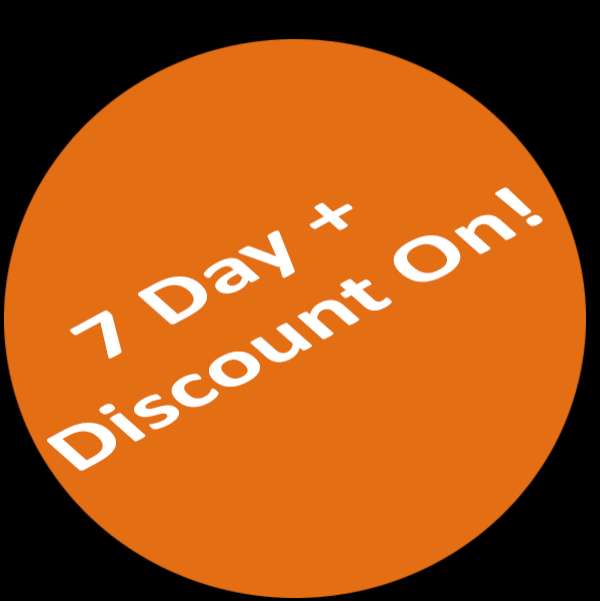 Excess Reduction - zero excess on tyre and vehicle damage* - from €17 inc VAT per day. Windscreen Cover - zero excess on windscreen damage - from €3.50 inc VAT per day. Personal Accident Insurance (PAI) - from €6.50 inc VAT per day. Roadside Safety Net (RSN) - from €7.00 inc VAT per day and charged only for the first 10 days of the rental. Any fines or contraventions incurred during your stay shall be debited to your Credit Card. An administrative charge of €20 applies. In case of no show on day of pick up, the full amount of your car rental shall be debited to your card including the Vehicle delivery fee of €15. The vehicle shall be collected from the airport or apartment as specified during your booking. In case you are collecting it from the airport, please find the keys in the arrivals area where the Car rental keys are stored. The keys will be inside a brown envelope with your name and car registration number written on it. The envelope will be inside box number 39, which is located in arrivals area behind the information desk to the left handside. The box will be open so you just need to take the envelope. The car rental contract shall be in the glove box and will be filled in on your arrival at the property. Please keep a copy of the car rental agreement in the Vehicle at all times in case you are stopped by a local warden or police as proof of rental. The Vehicle will be parked in parking area 5A, B, C or D of the airport depending on availability at the time van is delivered. Car shall be returned to drop off point by 12:00 (noon). Late delivery of car shall incur a full day rental charge. Other customers maybe waiting for the car and failure to deliver the car without prior notification results in loss of business which shall be charged at a daily rate by the end supplier. Your car maybe delivered to the airport or the apartment which ever you prefer. The charge to the airport is €15 and included in the booking price. Delivery to apartment incurs a surcharge of €9 extra. Kindly specify delivery location at time of booking. €25 worth of fuel* will be included with the car rental to ensure you may get to your intended destination on arrival. In case of 7 seaters, they are normally provided by the supplier as Half tank or Full tank and shall be returned as provided. In case you may find discrepancy in the fuel level, please take a picture before you start driving the vehicle showing the mileage and send it to our Whatsapp number or email address so that we may notify the supplier. Please ensure to keep fuel level adequate at all time. All towing services will be charged. Issues related to the car rental are to be directed to the end supplier as listed in the car rental contract you sign on your arrival. We do not accept any liability or responsibility concerning the car rental. Prices shown on our website are cash prices. For convenience purposes, we may collect the payment for the vehicle rental when you arrive at the apartment as well as fill in the car rental agreement if you are staying in any of our properties. You should always keep a copy of the car rental agreement in the vehicle at all times in case you are stopped by the authorities. This will prove the vehicle has been legally rented to you. Elinks Services Company Ltd. Trading as Seaside Apartments Malta may act as a broker in the process and we do not lease the car directly to you but through our preferred partner Chris & Bjorn with whom we have been working successfully for the last 5 years. In unforeseen circumstances and due to events out of our control or that of the supplier himself, failing to supply the vehicle within 24hours from your arrival, we may refund the deposit which you paid to secure the reservation. Any further claims will have to be addressed to the car rental supplier. We only collect the deposit from you to initiate the process and place a deposit on the car to secure your car rental. The rates shown on our website are cash prices, LIVE and INSTANT and may change at any time according to seasonal availability. The supplier charges an additional 3.5% credit card handling fee should you wish to settle the booking with a credit card. You may tick this during the booking stage. If in doubt about anything, please ask. By effecting a reservation on this site today [BOOKINGDATE], you accept these terms and conditions. Tip: Staying in Sliema? Opt for a small car. If you're staying in Mellieha, a bigger car is no issue to park.